** I saw this game over at this cute girl's blog :) I thought that it would be really fun to do this over here on my blog and let all of you get to know more about me. Go ahead and comment and name anything in my life you'd like to see a photo of! It can be where I sleep, my favorite makeup, the view from my living room window...anything! Later this week I will make a picture post showing you all of the things in my world you were interested in seeing! Also, please post this in your blog so we can keep the little game going! Also, I got a Toms catalogue in the mail and did you know there were black and white sparkle Toms now?! 18. 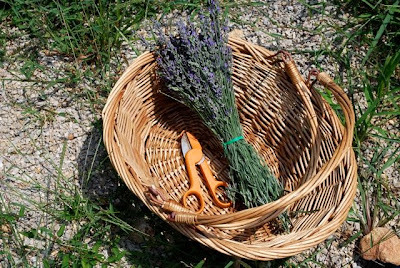 I am thankful for lavendar. Oh, how fun!!!! (I need to make my wish list for watching Santa as well, hehehe) Those TOMS are awesome! oh rob ryan. he astounds me. ummmmmm...i want to see a picture of what you're reading or the last thing you read that you really loved (and have laying around of course). OR your favorite thing that you have made. Your hair is always so gorgeous. What hair products do you use? hey girly! i would looove to see a pic of your 'throne!' yes, i know we all have them, mine is my suuuper cushy chair and ottoman - whenever i work on anything that's where i'm at! Yay! I am so glad you decided to do this and I can't wait to see your response post! Okay! I would love love love to see your closet and your favorite beauty product! Oh...how fun!! I will definitly be doing this on my blog too. 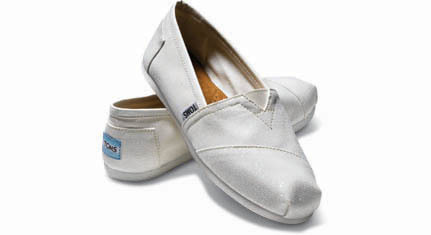 Love the sparkly Toms. Now I am torn between a gray pair or the black sparkles...ahhh!!! Okay.. I want to see your nightstand! Hey bestie! I would love to see some vintage apron love. I know ur collection has got to be beautiful. Also in love with the black toms, I need a pair. I'd like to see what your favorite makeup is. i just found your blog and i am lovin it! 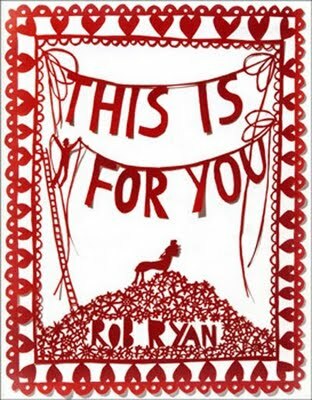 I went to Rob Ryan's shop the other day. If you come to London, I'm taking you as it's only a 15 minute walk from my house. I wanted to buy one of everything!! I agree with Jamie - kitchen picture, although I want to see what's on your fridge rather than in it. And your craft room too please! !